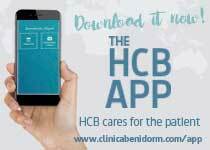 The location of Hospital Clínica Benidorm in one Spain’s main tourism destinations and our experience with overseas patients since 1986 have allowed us to develop a health-care model which is unique and totally adapted to international patients. The HCB model has services divided by nationalities and composed of medical, health and administrative staff and multilingual interpreters. 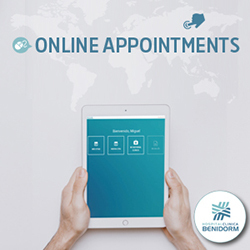 Spanish, Dutch, German, Russian, Scandinavian, English and Arab specialist doctors and nursing staff. The Reception and Admission Service at all HCB centres is staffed by international and multilingual personnel. 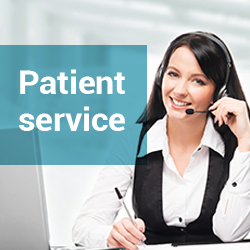 In addition, as a main advantage of the HCB model, we have a team of interpreters and public relations staff who attend to the translation and needs and accompany overseas patients as they go around the hospital. International and multilingual administrative personnel. We assist patients and the person with them to plan their trip and to organize their stay and possible holidays on the Costa Blanca.